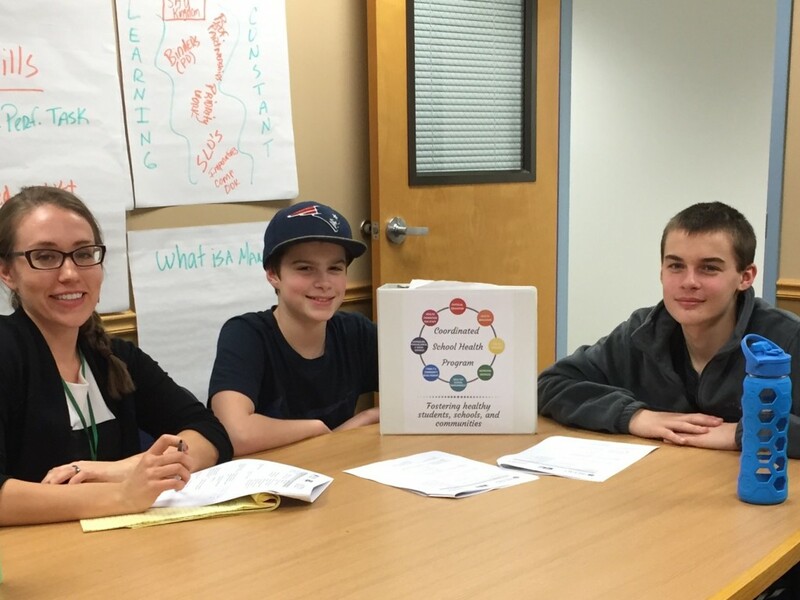 Two insightful, enthusiastic students from Somersworth Middle School helping to shape health and wellness priorities in their school and district! Coordinated School Health (CSH) envisions students who get the support they need to be successful at school, home and in the community by establishing lifelong healthy behavioral patterns starting in Kindergarten and building upon those throughout their education. The CSH framework works to strengthen 8 different components that together impact the whole health of a child. CSH does this by reviewing current practices and incorporates strands of curriculums, policies and programs centered on evidence based best practices into their schools. CSH is a substance misuse prevention initiative that utilizes a whole health model. 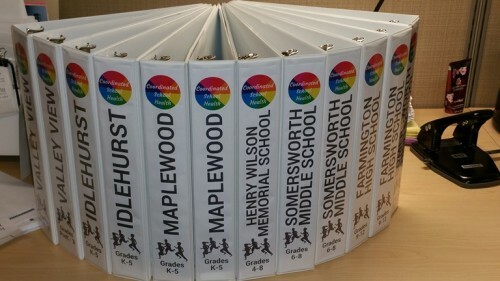 CSH is funded by the United Way of Greater Seacoast in two school districts, Somersworth and Farmington. Two dedicated champions have been designated from each school to lead this effort. CSH is currently in isn’t third year of funding and we are on our way to having the framework fully implemented for the 17-18 school year. There has been an obvious shift in the culture of both schools having more health and wellness related topics and discussions in their everyday teachings and experience for all students. 5. Build a representative school health committee or team.